ADOT detectives protect arizonans’ identities, investigate vehicle fraud. Identity theft involving Arizona driver licenses and ID cards. Used vehicle deals in which buyers can’t get titles transferred to their names. Unlicensed dealers flipping salvaged vehicles to unsuspecting buyers in a practice known as curbstoning. As the state agency responsible for driver licenses and IDs, vehicle titles and more, the Arizona Department of Transportation is responsible for investigating these and other crimes through an Office of Inspector General staffed by detectives with extensive law enforcement experience. These detectives, all of them Arizona POST-certified peace officers, will investigate fraud involving vehicle dealers, unlicensed vehicle dealers, vehicle titles, and driver licenses and state ID cards. Their duties include preventing identity theft by using facial recognition techniques and technology to detect individuals who attempt to obtain driver licenses and ID cards under the names of others. While most of the 215 officers with ADOT’s Enforcement and Compliance Division man ports of entry to enforce laws involving commercial vehicles, about 40 are detectives with the mission of preventing fraud. Whatever their role, officers with the Enforcement and Compliance Division officers have the same level of certification and training as officers with other law enforcement agencies around the state. And like officers with other law enforcement agencies in Arizona, they must be prepared for the unexpected, whether they are serving an arrest warrant on someone suspected of identity theft or are inspecting trucks at a commercial port of entry. As a result, they carry firearms. 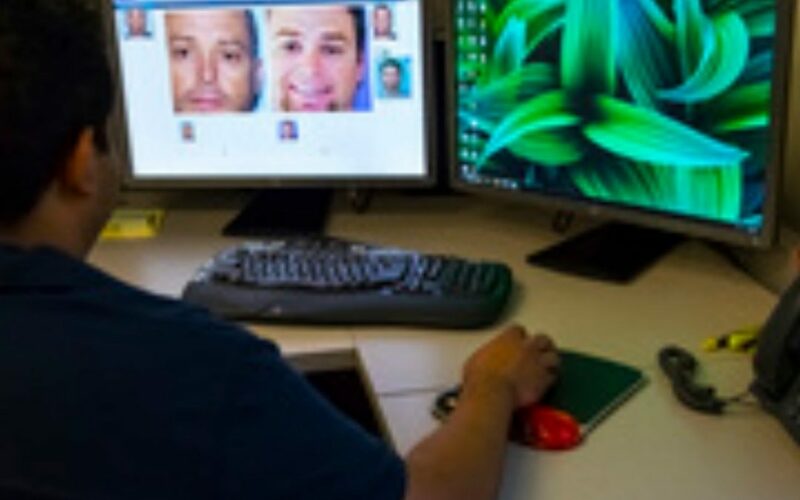 ADOT detectives use a variety of methods to solve cases, including facial recognition techniques and technology. Over the past few years, detectives have solved more than 150 cases using the facial recognition, such as nabbing a 40-year fugitive from New York, an 89-year-old man who collected nearly $300,000 in stolen Social Security benefits and a man using the stolen identity of an infant who died in a 1982 homicide to avoid paying child support. Detectives also use undercover sting operations to catch unlicensed dealers selling more vehicles than allowed by state law in a 12-month period. One such investigation led to the arrest of an Avondale man who had sold 124 vehicles in 11 months without a dealer’s license. Other agencies will also bring potential fraud cases to the Office of Inspector General. Last summer, the Arizona Attorney General’s Office alerted detectives to a Valley used car dealer who was trying to sell the same vehicle multiple times online without delivering the title after payment was made. ADOT detectives opened an investigation that led to his arrest for theft of the buyer’s money without delivering the vehicle.